What does it mean to be a GEN Ambassador? 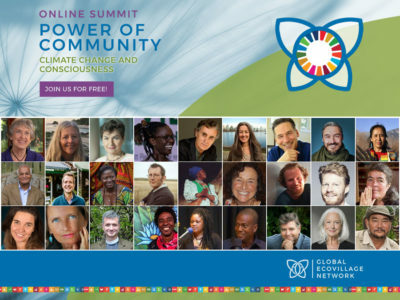 A GEN Ambassador is someone who knows the Global Ecovillage Network well, and is able to represent GEN on local, national and/or international levels. A GEN Ambassador stays updated about GEN by reading GEN Newsletters and websites and attending GEN events. GEN Ambassadors are people of integrity, empathy and enthusiasm, and have good communication, presentation and networking skills. How do I become a GEN Ambassador? Spend time learning from current GEN representatives, for example, through interning or volunteering in one of GEN’s offices, etc. Visit and engage with communities connected to the GEN network. If possible, enroll as a member of GEN either by becoming a ‘Supportive member’ or by living in a ‘Full member’ ecovillage. If accepted, you will be asked to sign a simple contract regarding the use of your business card and GEN logos. We will then create your GEN Ambassador business card for you for that particular year and send it to you electronically for printing. If you do not fulfill the above criteria, but still feel that you would be a great ambassador for GEN, please apply and tell us why. What can I do as a GEN Ambassador? Promote GEN at suitable conferences and events you attend. Share GEN promotional materials with interested people. If appropriate, have your contact details published on www.ecovillage.org and your regional and national GEN network websites. Support communities or projects you visit to register on the GEN database. Evaluate existing projects already registered on the GEN database to ensure legitimacy. Enroll people for the GEN Newsletter and provide other promotional materials. Register new ‘GEN Volunteers’ and ‘Friends of GEN’. Write short articles for GEN International and Regional websites, and the GEN Newsletter. Post on the GEN International Facebook page, GEN blog, and other social media sites. Connect your personal social network profiles to GEN social network groups or pages. Invite your friends to ‘Like’ GEN Facebook pages. Upload photos of projects you have visited, with copyright information, to GEN pages. Make contact with your regional GEN Council or regional GEN members. Submit a yearly summary of your activities as a GEN Ambassador. What are the benefits of being a GEN Ambassador? Updates about GEN national and regional activities, through mailing lists and newsletters.